Inlite are excited to have the opportunity to feature ‘Adjacent Field’, a design installation by Linda Tegg in collaboration with Delta Light and NDYLIGHT for Jil Sander’s Milanese flagship store! A multiple installation by Linda Tegg for Jil Sander Fashion House. 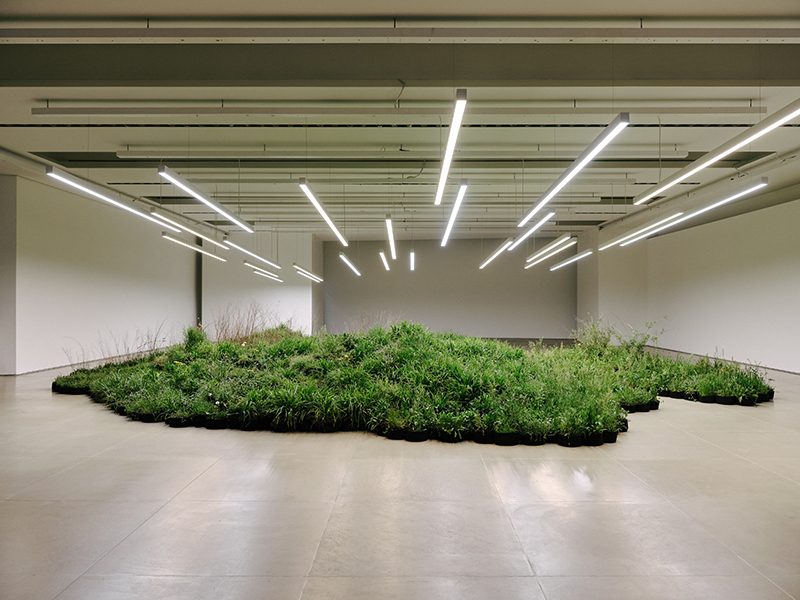 ‘A large living installation of spontaneous plants picked from abandoned sites in the area of Milan. This is the stem of what artist Linda Tegg has conceived with Lucie and Luke Meier for the spaces of Jil Sander’s head­quarters, on the occasion of Milan Design Week 2019 and to introduce the first in a new series of Jil Sander+ collections. Durable products, for both women and men, made for life outside of the city : time spent in the mountains, by the sea, in the countryside. Mosses and succulents, blackberry, blue pimpernel, common chickweed, geranium, high mallow, ivy, ribwort plantain, scutch grass, wild sage. A few examples from the extensive list of species Tegg has sourced, with the help of garden designer Matteo Foschi, in the fields inside and around the city, that now form the luscious, “ephemeral” version of Adjacent Field. Arranged within a lighting installation specifically designed by Nic Burnham of NDYLIGHT. 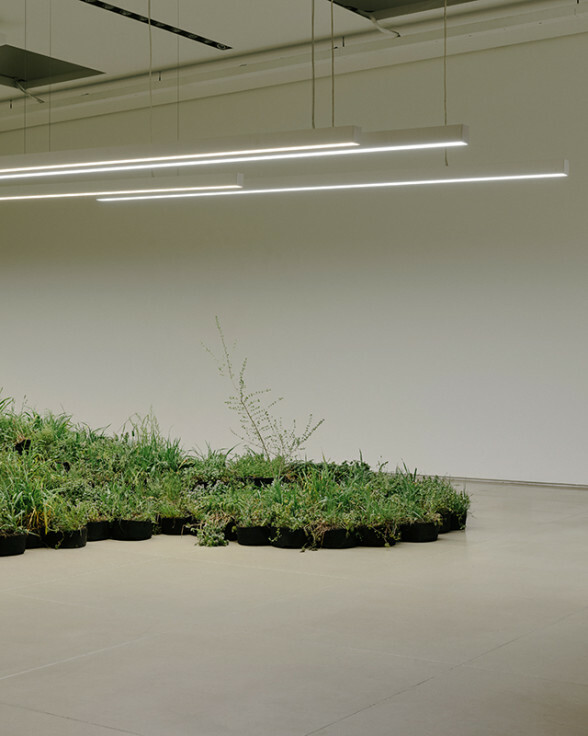 After the exhibition, some of the plants will be returned to their original environment, while others will be refor­med into a permanent assemblage, evocative of the spontaneous and overlooked urban flora of Milan. To be constantly nurtured as a living being within the Jil Sander studios. Turning the everyday into a space which is dedicated to the exceptional. Attention to looking, contrasts, awareness and care. “The plants will stay with us. Environmental issues seem, and need to be, more and more well rooted, rather than a trend”, say Lucie and Luke Meier. “We need to be ready to behave in different ways, even uncomfor­table and inconvenient, to make a change. We need to find a way to coexist well with nature. The permanent installation of spontaneous plants will be a constant reminder, a catalyst for our awareness”. On display in the windows of the Jil Sander Milanese flagship store, 5 large-scale Field Photographs taken in the streets of Milan by Tegg’s partner and collaborator, designer David Fox, offer an alternate view on the installation. Generating an interplay between perceptions and ideas of the natural and the human-made, between indoors and outdoors, echoing the essence of the artwork. And of the work of Lucie and Luke Meier for Jil Sander. “Spontaneous plants break through the fabric of the city, they assert themselves against a logic that seals away access to soil, light, and water – a chance at life. The Field Photographs celebrate these acts of resistance, once you start noticing, you can find them everywhere”, Linda Tegg says. “These plants are neither singular, spectacular, or of any monetary value. They exist alongside us often on the peripheries of ur perception. What happens when these beings are brought to the centre of our lives, when we take them into our care?”. 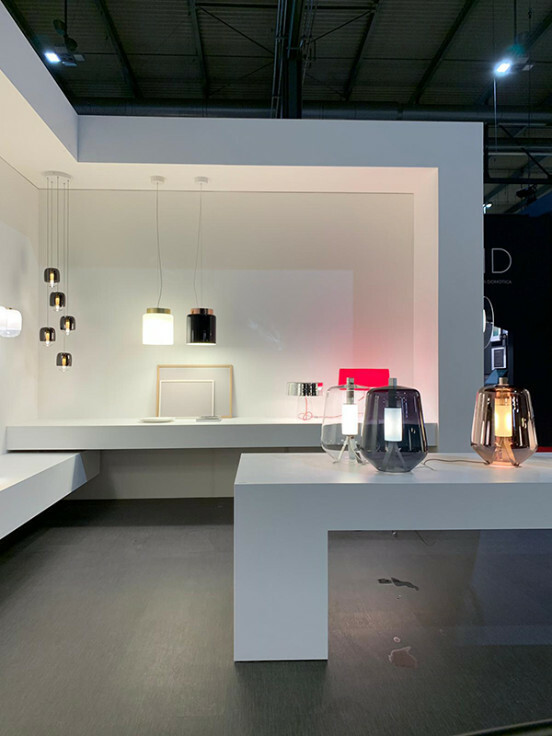 Prandina at Salone del Mobile Milano, the story so far!…. 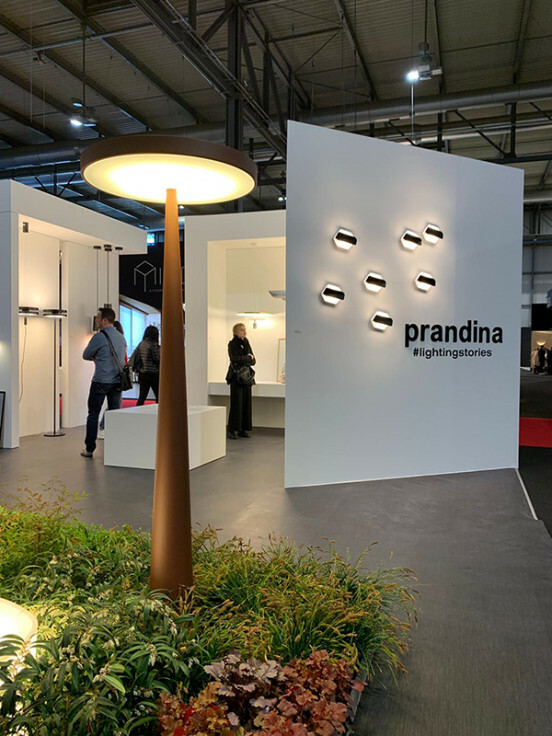 Prandina’s presence at the Salone del Mobile is nothing short of inspiring as they launch their new brand identity – Lighting Stories! Their beautiful display is filled with stunning, new blown-glass collections along with some of their best sellers. Roaming crowds are sure to receive their design fix as they peruse Prandina’s stall! Prandina at Salone del Mobile Milano, save the date! Save the date and join Prandina at Salone del Mobile.Milano 2019! From the 9th to the 14th of April, get ready to discover Prandina’s brand identity, exciting unrealised collections and new #lightingstories! 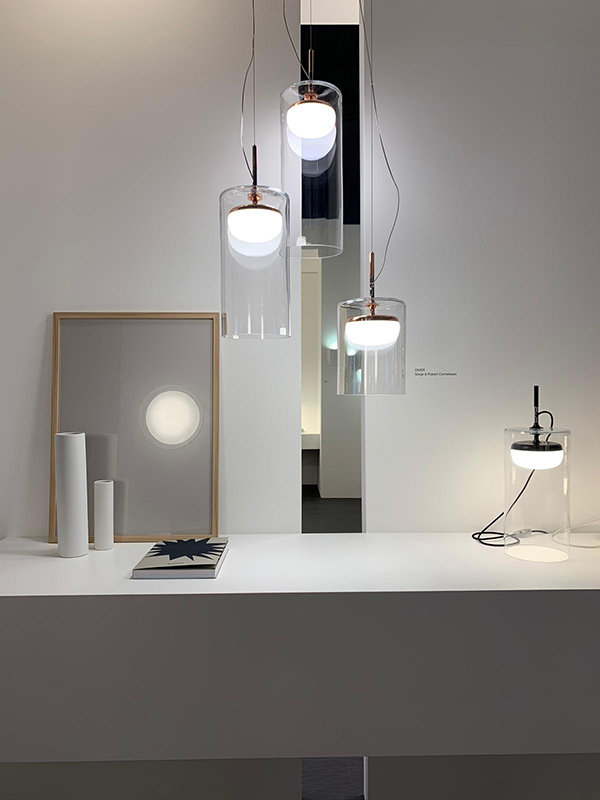 There is no doubt that Milan Design Week is huge for Delta Light this year, here’s a sneak peek at how they kicked off the week! This year’s Milan Design Week is an extra special one for Delta Light who are celebrating their 30th Birthday. 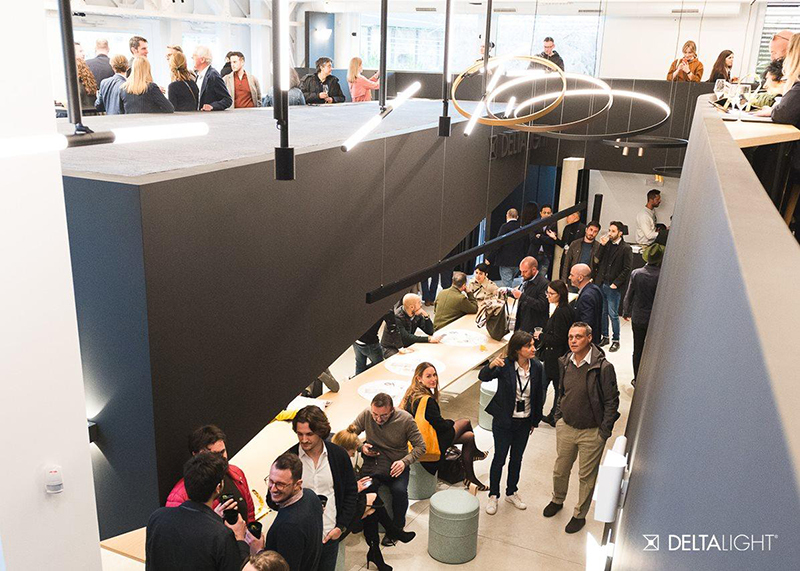 In honour of this achievement Delta Light launched their latest Lighting Bible 30 Year Anniversary Edition at their new Milanese showroom in Tortona. 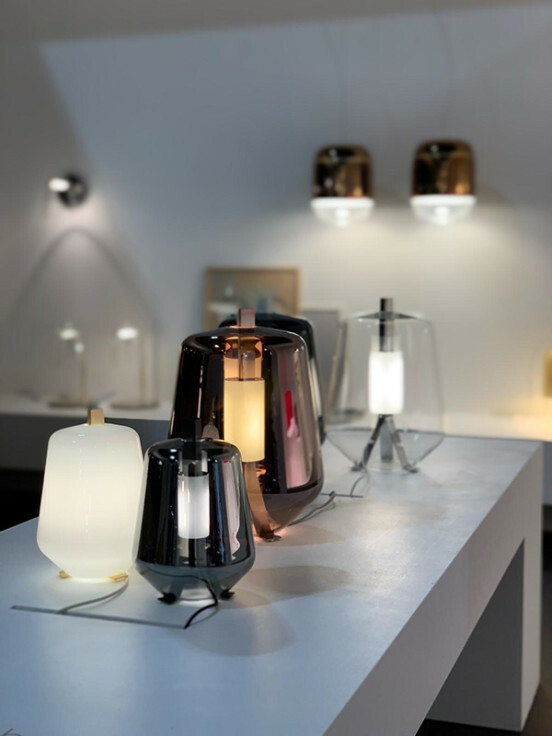 Delta Light opened the doors to their brand new showroom on Monday evening with guests flooding in, ready to be inspired and to view Delta Light’s newest creations and amazing installations. They did not leave disappointed, with Delta Light showing them what true Belgian hospitality is all about, with a flow of Belgian drinks and DJ set. 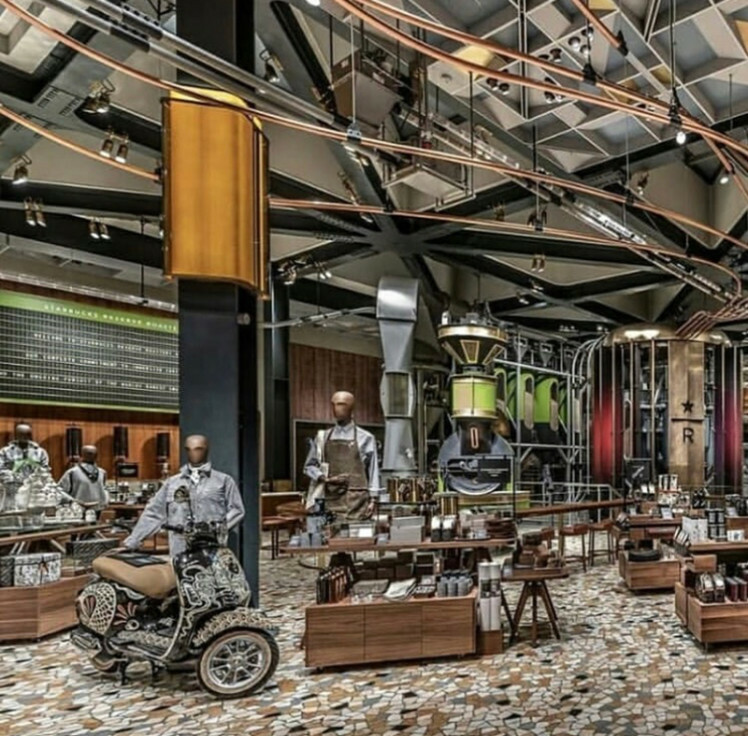 Having already collaborated with Starbucks on their hugely successful flagship roasteries in Seattle and Shanghai, it was no surprise that Starbucks asked Delta Light to design the lighting for their latest roastery project in Milan. 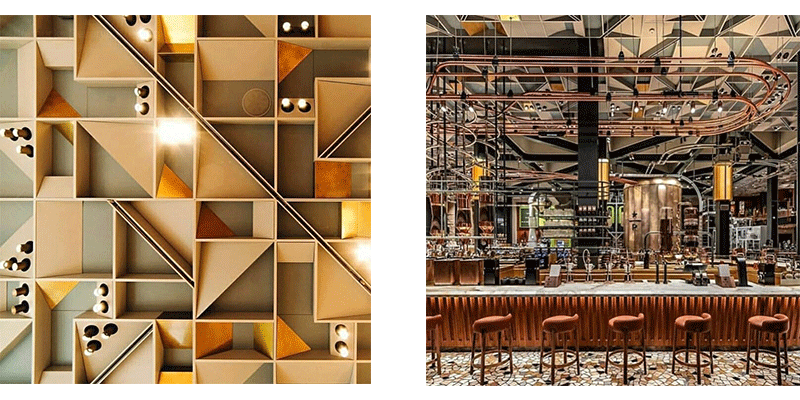 As part of Design Week, lucky Delta Light guests were given a personalised tour of the Milan Roastery enjoying breakfast and the perfect combination of coffee, architecture and bespoke lighting by Delta Light! 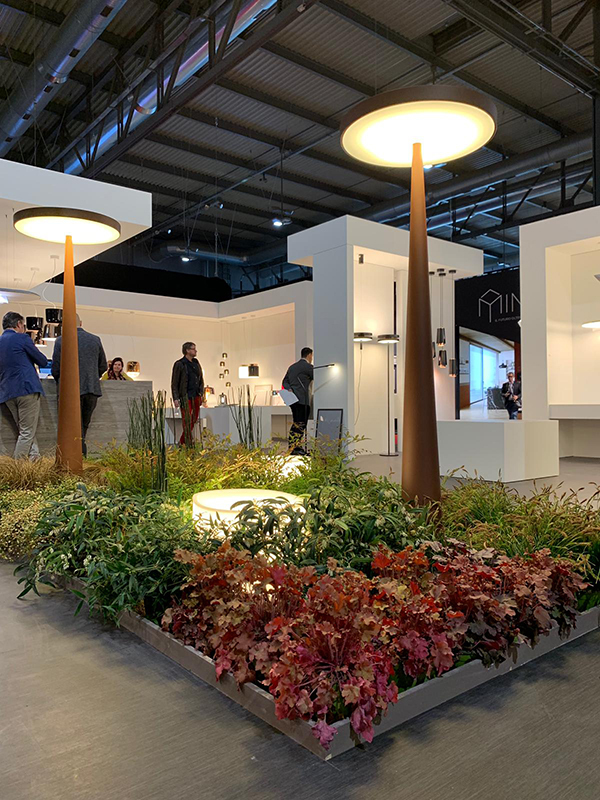 2019 is a huge year for Delta Light who are celebrating their 30th Anniversary at Milan Design Week! 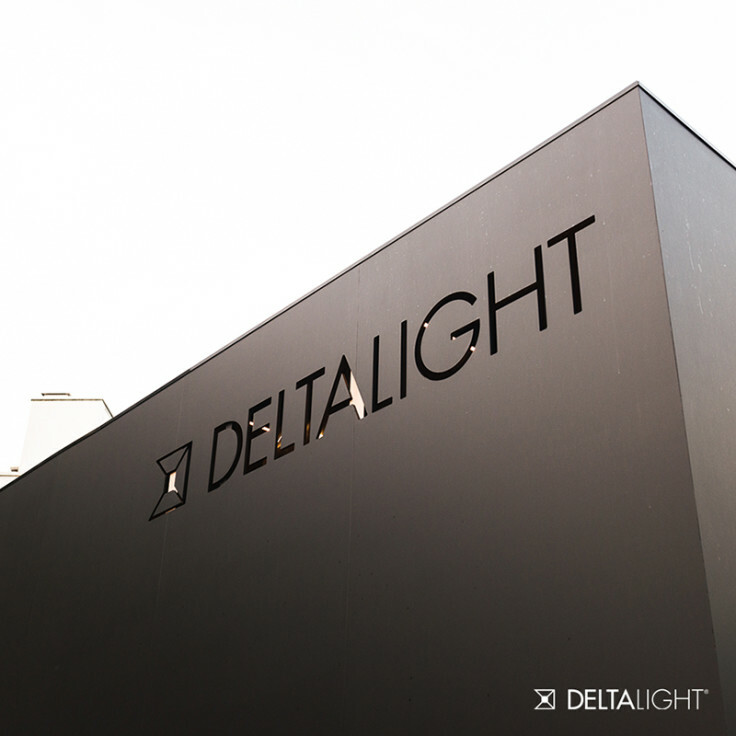 On the 8th of April Delta Light will open the doors to their newest showroom in Milan. The Milano showroom will feature their newest collections and promises to excite and inspire! 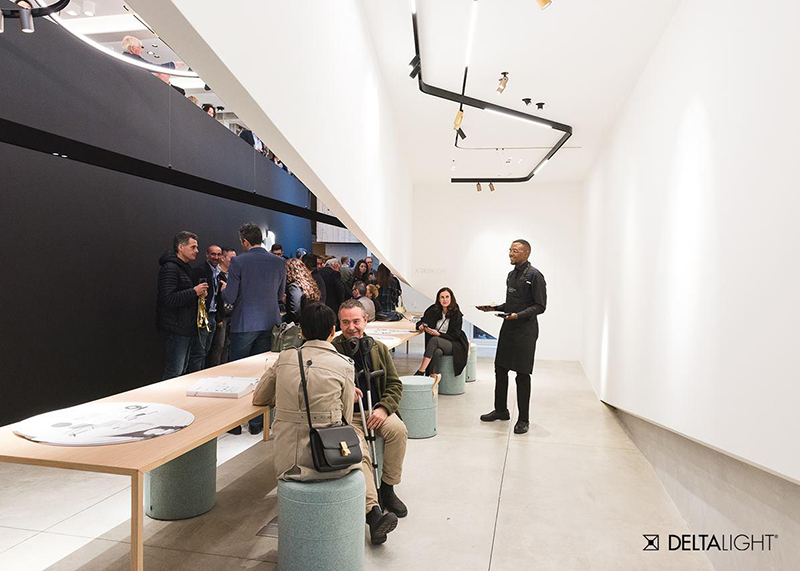 You can also join the Delta Light team at their new showroom during Milan Design Week for one of their architectural, project or design talks! To register to attend one of the exciting presentations, click the link below! 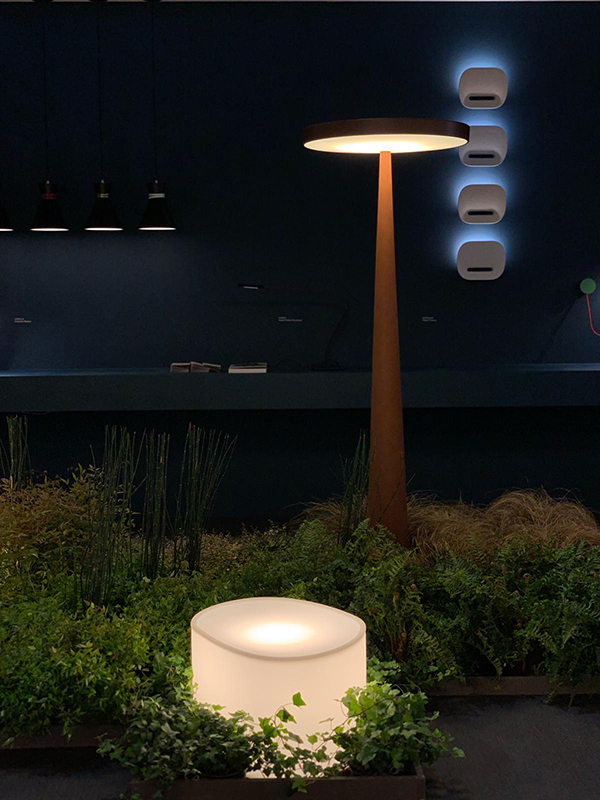 Delta Light at Milan Design Week 2019! 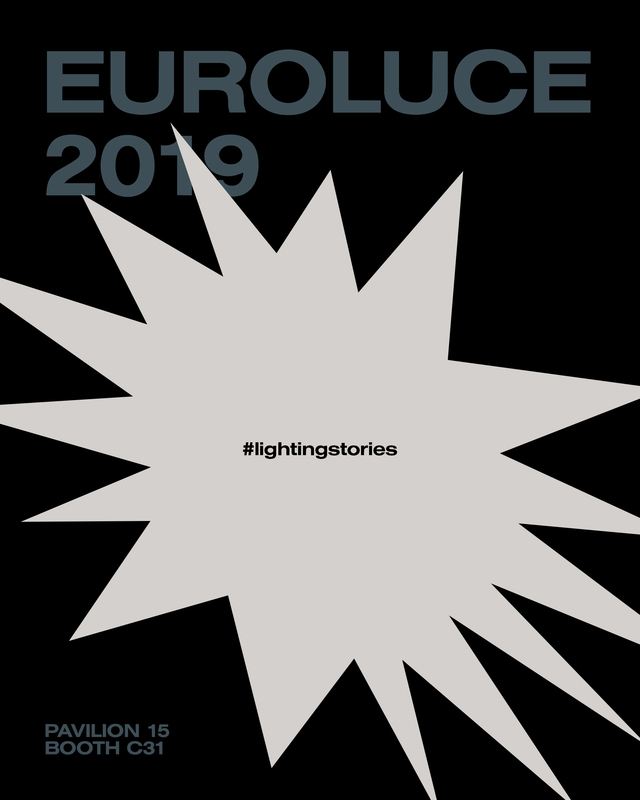 To honour their 30th Anniversary Delta Light will also be releasing a special edition of The Lighting Bible with an ‘out of the ordinary’ and eye-catching cover design and many exciting novelties to spark creativity. Stay tuned for more information and get ready to be inspired!